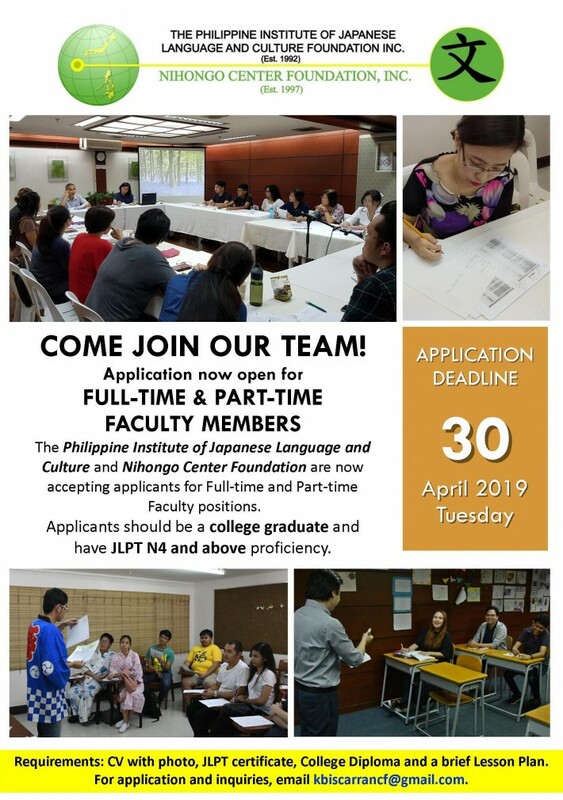 The Philippine Institute of Japanese Language and Culture and Nihongo Center Foundation are now accepting applicants for Full-time and Part-time Faculty positions. Applicants should be a college graduate and have JLPT N4 and above proficiency. To interested applicants, please send your application requirements to kbiscarrancf@gmail.com by April 30, 2019. For more inquiries, email kbiscarrancf@gmail.com.